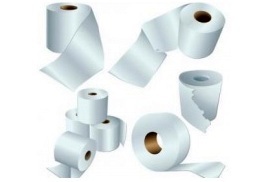 May 8 is toilet paper time again for Dorcas Ministries Food Pantry. Our goal is to supply half the toilet paper needed by the food pantry so that they can provide 1 roll per month per family member. Bring donations on May 8. Continue reading for more. Sunday, April 10 is Hermano (Farmworker) Day. St. Paul’s helps by donating work clothes and bedding and by offering financial support. Juan Carabana, the Co-Director of the Episcopal Farmworker Ministry will be here to tell us about the work being done to help our farmworker brothers in Christ. Please bring your donations to church that day. Continue reading to see what donations are needed. HERMANO DAY: Today is “Hermano Day” at St. Paul’s. Please welcome Juan Carabana, the Co-Director of the Episcopal Farmworker Ministry. He is here to tell us about the work of the ministry as well as collect our donations. If you would like to make a monetary contribution to the ministry, please make your checks out to the Episcopal Farmworker Ministry. Thank you! CELEBRATING THE MINISTRY OF THE REV. LOIS REARDIN: We would like to invite parishioners to contribute towards a gift for Lois in recognition of her 17 years of ministry at St. Paul’s by writing a check to St. Paul’s and indicating “Gift for Lois” on the memo line. We will continue to accept contributions through the month of April, and will make a presentation at a later service. 30 Hour Famine-APRIL 29 & 30: Our youth group and confirmation class is going hungry to help save kids’ lives. Every $35 we raise can help feed and care for a child for month! WHAT: We’re learning about hunger, raising funds to fight it through World Vision, and then going without food for 30 hours to understand what millions face every day. WHY: Because we don’t want to be onlookers while nearly 8,000 kids are dying every day from hunger-related causes. We’re choosing to stand up and make hunger our fight. WHAT ARE WE DOING FOR 30 HOURS? Fasting (starting at school at 12:30) + Games + Friends + Service + God. You can help by sponsoring a youth. Contact Leah Dail (leah.dail@stpaulscary.org) for more information. 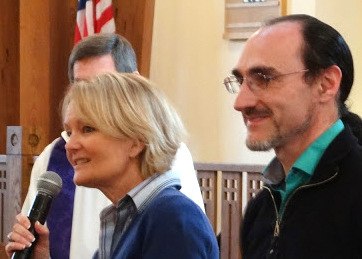 CENTERING PRAYER GROUP BEGINS NEW BOOK STUDY: Last Friday, April 8, at 9:00 a.m.in the library at Cary Presbyterian Church, 614 Griffis Street, the Centering Prayer group began studying Convictions: How I Learned What Matters Most. This is the last book written by Marcus Borg. We welcome everyone, even those missed the April 8 meeting. For more information, contact Martha Waters, 919-302-5912, or martha.wtrs@gmail.com. ADULT EDUCATION FORUMS: Today’s forum topic is “Issues of Poverty and Need in Our Area and Christian Ministry in Action.” Join guest speaker Howard Manning, Executive Director of Dorcas Ministries, in the chapel between the 9:00 and 11:15 a.m. services. There will not be a forum next Sunday. All are encouraged to visit the Ministry Fair in the parish hall and learn about some of St. Paul’s ministries. Spring Grounds Workday: Join your fellow parishioners on April 30th at 8:30 am to spread mulch, prune plants, and tidy up the grounds of St. Paul’s. There will be a variety of jobs available – spreading mulch, weeding, pruning, and planting. Please bring a water bottle, gloves, rake, pruning shears, and a wheelbarrow, if you have one. Contact Julia Rudy jbrudy@yahoo.com if you have any questions. COFFEE HOUR MINISTRY HIGHLIGHTS: The Outreach Committee is hosting coffee hour in the parish hall following the 9:00 a.m. service today. There are many outreach opportunities, including Refuge for Refugees, Wheels4Hope, and Wake Interfaith Hospitality Network. Please stop by and talk to the Outreach Committee about how you can get involved in their exciting and rewarding work. Next week’s coffee hour will be sponsored by the SPRING MINI MINISTRY FAIR: Whether you’re looking to get involved in something new or just want to find out what’s happening, come to the Spring Mini Ministry Fair during coffee hour in the parish hall on Sunday, April 17. Here are some of the ministries who will be on hand: Altar Guild, Fellowship, Memorial Garden, Ministry of Mothers Sharing, Urban Ministries, Refuge for Refugees, Women’s Study Group, and the newly formed Senior Ministry. Attention Seniors! The Center for Hope and Healing has something for YOU! Savvy Seniors, a Lunch and Learn Opportunity, Thursdays, 11 a.m. – 1 p.m. April 7-May 26. Melissa Huemmer, LCSW and counselor at CHH, will guide participants through discussions on topics pertinent to dealing with aging. Cost is $20 per session (bring a lunch, we provide drinks) and we must have at least six participants to proceed with the group; you do not have to be associated with St. Paul’s to attend – bring a friend!! Please contact Melissa Huemmer at Melissa.Huemmer@chhcary.org or by calling 919-414-0668 to register, or to learn more specifics about the group. Little Red Wagon: Help Keep It Rolling: St. Paul’s has been a significant supporter of Urban Ministries through our Little Red Wagon weekly food collection (more than 10,000 pounds donated in 2015 alone). Each week, this requires that the food then be transported from St. Paul’s to Urban Ministries in Raleigh. We are currently looking for a couple of people to take one week per month each to help with deliveries to UM. Ushers will load the food into your car on Sunday, and the folks at Urban Ministries will unload it on Monday. If helping with this project appeals to you, please contact Joe Ryan at jryan23@nc.rr.com or Aleta McClenney at aleta@att.net. DORCAS: Thank you for your support of the toilet paper collection for Dorcas Ministry Food Pantry. Our goal was to provide 200 rolls (which is 50 rolls per week for a month). We actually collected 360 rolls on Sunday March 20th which is a more than a 7-week supply. Our next collection won’t be until May 8th. PHYSICIANS, NURSES, EMS RESPONDERS: Our Clergy requests knowing medical persons who would be willing to respond to apparent medical emergencies on Sundays, only during church services and adult ed. offerings. If you are willing to respond, please send your name and the time of the church service you normally attend to Margie Best at mwbest@bellsouth.net. The ushers will be given the list of names so that they know who to enlist help from in a need. Thank you. PLEASE SAVE THE DATE, MAY 15th: Help the children pack. We have opportunity to help plant “seeds” in the children by helping them to pack meals for stop hunger now. Donations to support this event will be welcomed (if we surpass the goal, funds will be carried over to the next SHN event)–donations can be made at our registration link. To register, go to http://events.stophungernow.org/stpaulscary and please note “adult helper” where the registration indicates “affiliation”–this helps us separate the adult helpers from the children and their parents. If you have any questions, please contact Glenda Swann at swann.glenda@gmail.com or Christine Ingram at christine.ingram@stpaulscary.org. ASP Spring Chore Day: The youth who are attending this year’s Appalachia Service Project trip to Tennessee are ready to tackle your spring projects! We have designated Saturday, May 7th as our Spring Chore Day, from 8:00 a.m. until 12:00 noon. Our crews of youth and adults are ready to complete any jobs needed such as weeding, mulch, window cleaning, car washing, and general yard cleanup. We bring tools and supplies, hoping to help you check something off of your list. If you are interested in having a team assigned to your home, please contact Stephanie and Brad Hirschy at shirschy@yahoo.com or 919-234-2923. We will contact you to schedule a time and review additional details. Your support of St. Paul’s youth and their annual participation with the Appalachia Service Project is greatly appreciated. Children’s Chapel will be held at the 9:00 a.m. service only today. This session is for children ages 3 through 2nd Please follow the children’s cross processional to the youth wing. Our last Clergy-Led Children’s Chapel of the semester will be held today at the 9:00 a.m. service. Please meet Father George at the door to the courtyard. Clergy led Chapel is for children ages 3rd-5th Clergy-Led Chapel will resume in the Fall. Communion Classes begin today. Participants-please meet Father Carr in the Sanctuary immediately following the 9:00 a.m. service. Sunday School resumes today! Sunday School is in session for 4 more weeks and will end for the semester on May 1, 2016. Please contribute to the Children’s Stewardship Basket as the children continue their collection toward our $2900 goal that will sponsor a children’s Stop Hunger Now Day on May 15, 2016. To date we have collected $2465.90. We are so close to our goal!!! If you and your children would like to participate in our Stop Hunger Now day event on May 15, 2016 from 10:15am to 11:15am, registration is easy!!! Go to http://events.stophungernow.org/StPaulsCary and sign up! We are limited to 100 participants (children and adults) and spots are first come, first served-spaces are filling up quickly! Children (ages 3 to 5th grade) must be accompanied by a parent or guardian at this event. Heroes and Villains Vacation Bible School participant and volunteer registration forms are available in the narthex and the Ed. Bldg. Please join us for the daytime or evening sessions June 20-24, 2016. Pre-EYC (4th and 5th graders) will meet at 2:00 p.m. today at White Plains United Methodist Church for WIHN set up. No meal or snack will be served, but a good time will be had! Sunday School: The lesson today is entitled “Getting To Know God: Who is Jesus?” Middle School meets in the youth wing (go straight there, snacks are provided) and High School meets in Room 10. Confirmation Class: Class will meet at the Center for Hope and Healing during the Education Hour. George will lead a class on Holy Scripture. There will also be a Confirmand-Sponsor Brunch in the parish hall at 12:30 p.m.
EYC Today 5-7 pm: Ice Cream Social at Wake Interfaith Hospitality Network. We are hosting an Ice Cream Social to welcome the families that are staying at WIHN this week. Please note: drop off and pickup is at White Plains United Methodist Church (313 SE Maynard Rd, Cary). Also, there will be no meal served – but you can eat ice cream! Small Group Discussions & Pie Eating – Tuesday April 19, 6:00-7:00 p.m.: We enjoyed our Lenten Study time together so much, we’re going to continue meeting on the 1st and 3rd Tuesdays of the month. The format will be simple: eat dinner beforehand or bring it with you. We will watch a short video and discuss how our faith informs different topics. And we will eat pie! Meet in Room 10 this time. FAITH ON TAP: Variety is the spice of life! The next few months Faith On Tap will be meeting at establishments with more than ten taps – something for just about any taste! So come join us to meet old friends and/or make new ones. Both men and women are invited! Please contact Tyrus Cohan (228) 223-4558 or tcohan0117@gmail.com with any questions. April 7-9 is the second “St. 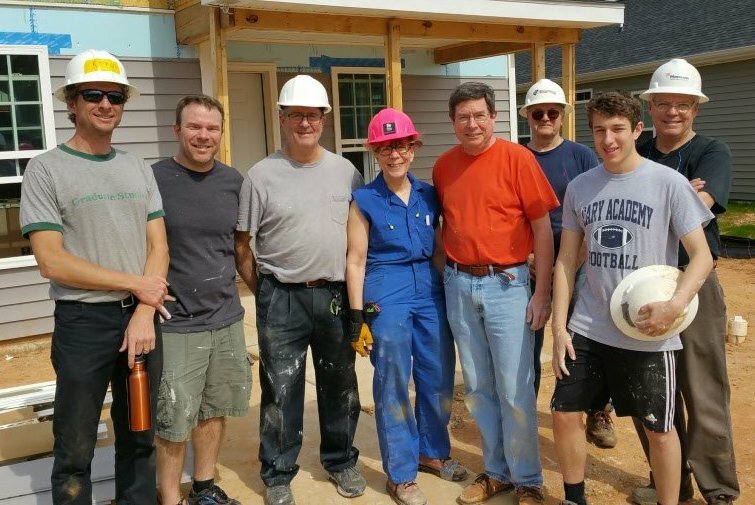 Paul’s” weekend on the 2016 Episcopal Build at Crosstowne subdivision in Raleigh. If you’ve been on the fence about volunteering, this is a perfect opportunity to get out and do some hands on outreach with your fellow parishioners. No construction experience is required, and all tools are provided onsite, so all you have to bring is yourself and a good attitude! To sign up, click HERE. For more information contact Dave Mackie, dw.mackie@gmail.com, 919-260-6707.